Jason Bourne (2016) a film review. Running time: 2 hours 3 mins. 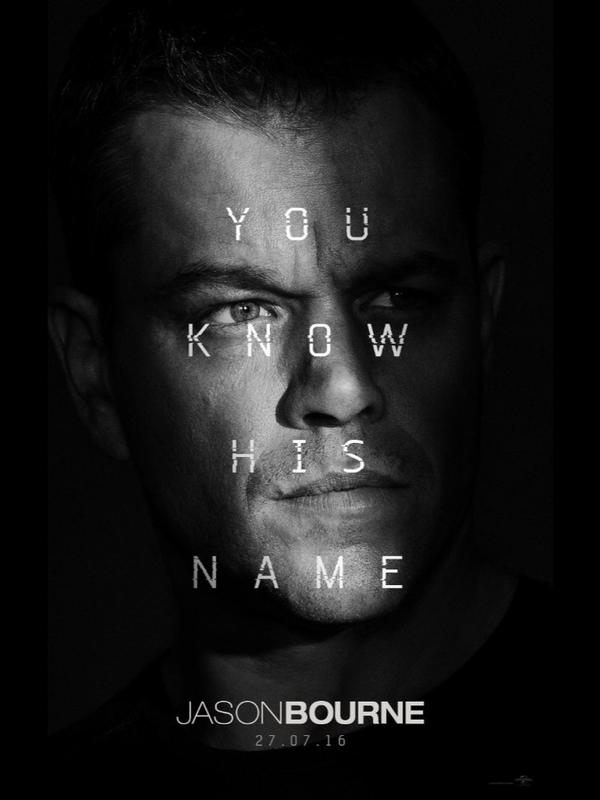 Cast: Matt Damon, Tommy Lee Jones, Alicia Vikander, Vincent Cassell, Julia Stiles, Riz Ahmed. Jason Bourne is back to uncover truths about his past. Sound familiar? Yes Matt Damon is back again and Paul Greengrass returning to direct does indeed raise expectations. Plus with Tommy Lee Jones, Alicia Vikander and Vincent Cassel added to the list, which also includes the return of Julia Stiles and there’s all the ingredients of another hit. But alas the concoction is merely satisfactory in all departments. I sat through the thin story which is just Bourne blabbing on about Treadstone, Black Frier or something and his past in hushed tones once more. I actually cared very little. Even Bourne says he knows everything of interest about his past. But this spy type action dusts itself off and yet doesn’t revel in action, dialogue or suspense. I felt like I left the cinema with nothing more than I’d entered with. Even Riz Ahmed was underused. Maybe there were too many charters at play? I don’t really know but it just felt like it was waffling on retreading what we have already seen enough of. 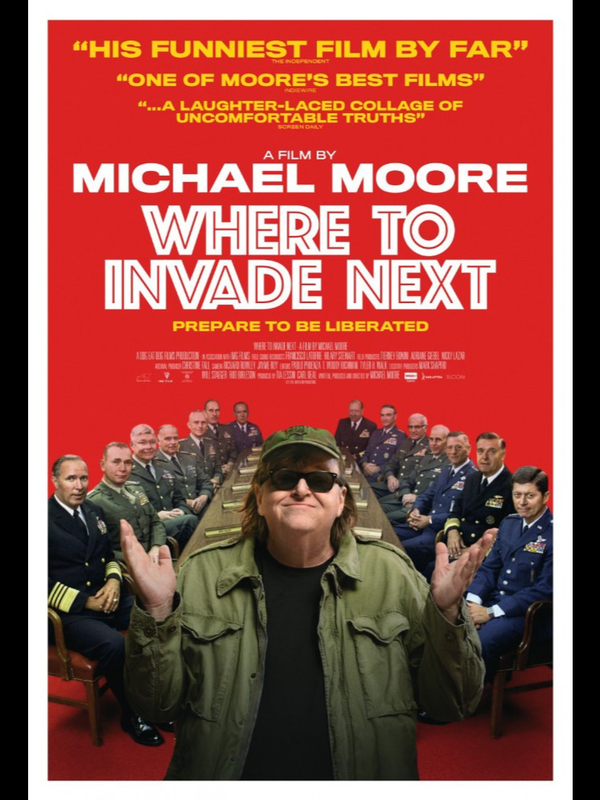 Totally forgettable apart from being reduced to the one known as ‘The one with Tommy Lee Jones in’. Cast: Chris Pine, Zachary Quinto, Karl Urben, Zoe Salanda, Simon Pegg, John Cho, Anton Yelchin, Idris Elba. 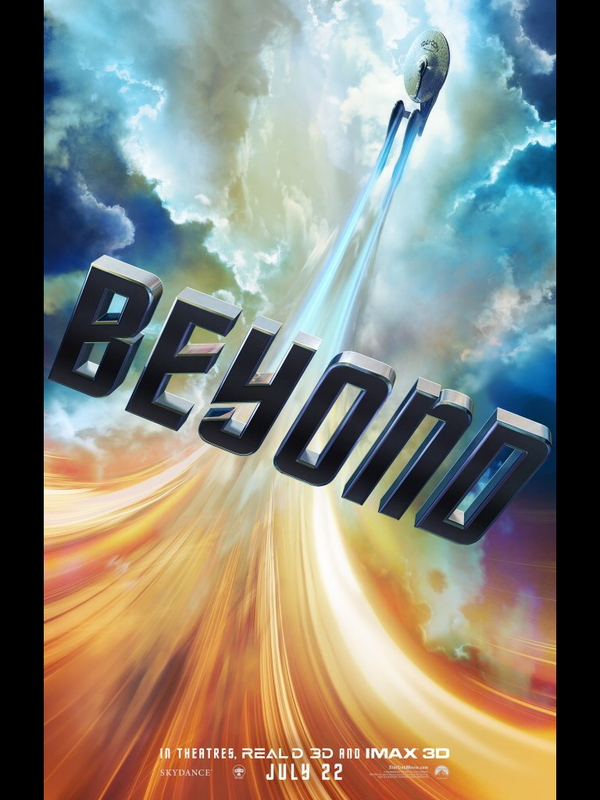 This rebooted Star Trek franchise has finally done the thing which it secretly hoped to do, that is make me me think “maybe I should go back and watch some of the tv series”. The new cast now fell bedded in and oddly Chris Pine now sounds more Shatner than ever. I’m a sucker for a scene where we get to observe what an alien metropolis functions like and recently I got his same thing in Guardians Of The Galaxy, Elysium and now this. This delivers on the different alien environment front and also plays it right down the formulaic route of ‘chase the maguffin’ while evolving the team dynamic. The story follows a Marvel movies direction of baddie wants some thing you have and they need outsmarting. In a way it’s stuck in a box when it’s enemies all look Klingon and your teleporting out of certain death scenarios but other than that I still enjoyed the interplay between the crew a lot. Certain scenes had shaky cam and too fast fighting which left me staring at blurring images which I didn’t follow but others had well paced enjoyable action pieces which I could relish in. I do wish it would put down its nostalgia for the original series’ cast though. I really buy into the Spock/Kirk friendship these days and tha is played upon here even as new bad guy Krall throws obstacles at the guys. Idris Elba was unrecognisable to me until half way in under all the prosthetics but once I realised it was him, it was obvious. A colourful and action packed space adventure which was just what I wanted. I’m still not a Trekker but I will dig deeper. Running time : 2 hours. Cast: Mark Rylance, Ruby Barnhill, Penelope Wilton , Rebecca Hall, Rafe Spall. If I didn’t already know that this version was directed by Stephen Spielberg, then I’d have struggled to tell. His finger prints are maybe on some shot framing on a scene or two but outside of that I’d say this could’ve been anyone. The Big Friendly Giant himself, played by Mark Rylance, is recognisable in the face as the actor himself and the effects are done in a way which is reminiscent of the Robert Zemeckis’s A Christmas Carol from 2009. To be honest I expected a much more cutting edge CGI which I may struggle to believe was CGI at all. Sure it’s very good but when you see Ruby Barnhill playing young Sophie it high lit the gap between real and unreal for me. 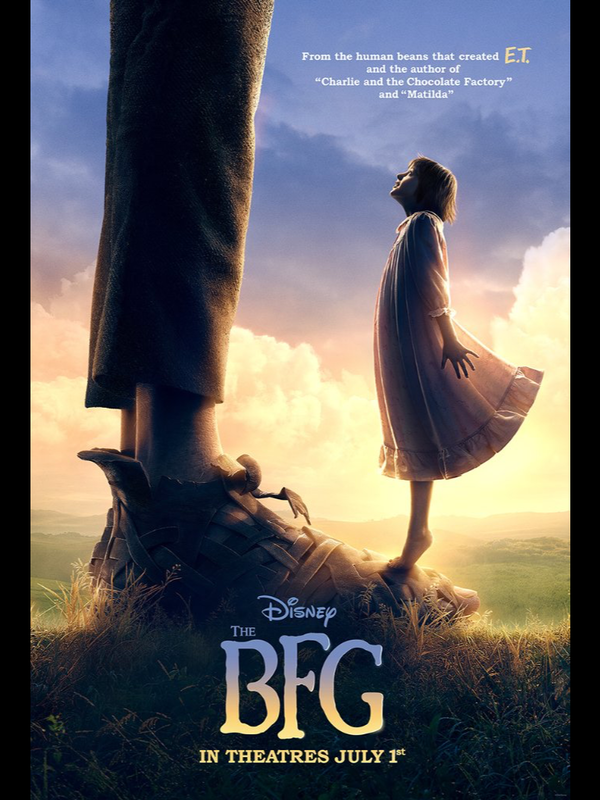 Sophie as a character and the BFG also surprised me because I didn’t wholly like either of them. Sophie seemed like a little brat with a chip on her shoulder. The source book is pretty simplistic in its story telling and that was felt on the film as long over running scenes such as meeting (person omitted) stretched my patients and that of my son. With so few things happening in general I kind of lost interest in parts. The opening stealth skills of the BFG showed skill and imagination but these moments faded out eventually. Although the scenes were shot looking like they could happen in the Harry Potter universe, there was little else in common with that much better family outing. When you realise you are enjoying the villains more than the heroes then you know you’re not properly invested. I left a little let down to be honest but there’s just enough to get you through till the end. Cast: Queen Latifa, John Leguizamo, Denis Leary, Jennifer Lopez, Simon Pegg, Jessie J. 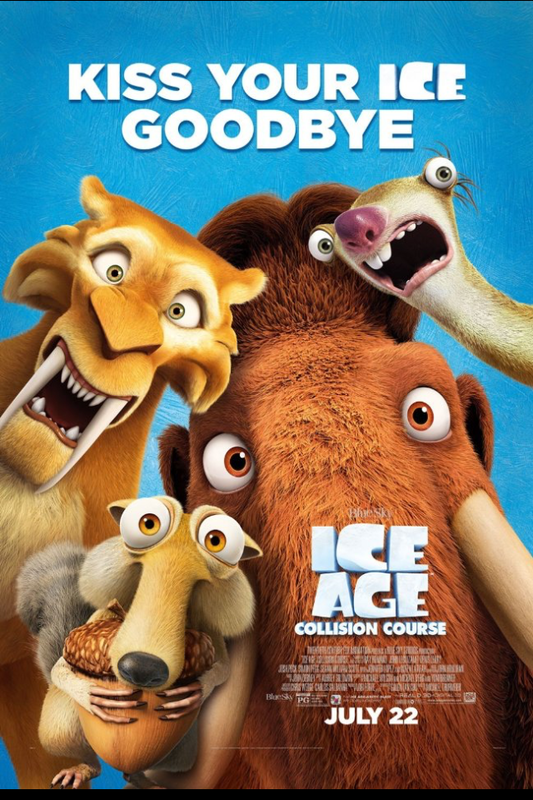 The odd Ice Age family continue to evolve and work through human family problems in animal form . The normal formula of getting from A to B in order to stay alive is still followed here but this time it’s to avoid the asteroid which wiped out the dinosaurs. But also as usual, the plot is secondary to the bickering cast and the sight gags which are the true life of this series. Just when you think the animators would have wiped the well of invention dry, especially where Scrat is concerned, we see that’s just not the case. If you’ve seen any of the films up to now you’ll know what to expect on the whole. While that should be dull and tired in reality, it just keeps working. The kids will be happy for the full running time and the adults won’t be annoyed by any of the goofy characters. It’s just such a comfy slipper of a movie, it’s hard to find a problem with it. Cancel the apocalypse, Buck is back to help the furry gang save the world. Cast: Kristen Wiig, Melissa McCarthy, Kate McKinnon, Leslie Jones, Neil Casey, Andrew Garcia, Charles Dance, Ozzy Osbourne. 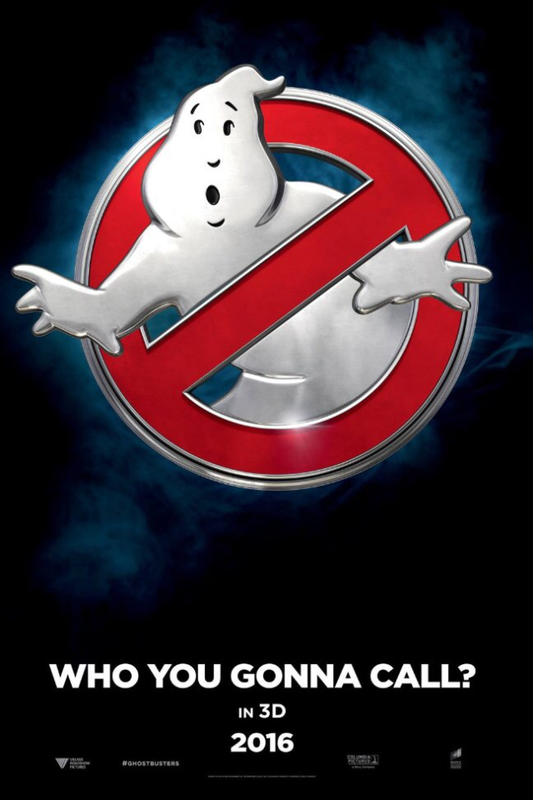 The female cast of the new Ghostbusters, Melissa McCarthy, Kristen Wiig, Kate McKinnon and Leslie Jones plus villian Neil Casey have all been on Saturday Night Live in America. Director of Bridesmaids, Paul Feig, has also shown previous good form in comedy. Rolling all this together should result in a real treat of a comedy movie. Well it does and it doesn’t. The lead cast work really well together and often seem to be holding back smirks from endless improvised takes. That chemistry works well as does the mix of modern yet cartoony retro ghostly effects. Receptionist Chris Hemsworth is entertaining as the possibly over ‘Mr. Bean- stupid’ yet handsome but dumb Kevin. The story follows the essential set up of the first outing with a team of scientists making a breakthrough as spirits are unleashed on New York. Although they dropped the Sigourney Weaver/Rick Moranis plot thread this time around. It’s a fun ride with feisty sassy dialogue between the new team. But what spoilt the overall result for me was the crudeness of humour in an essentially family film. It’s a 12a, which hints at its tone but audiences will inevitably bring along 8 year olds who then have to sit with parents burying their blushes as they are questioned about vaginal jokes and cover their kids eyes and ears as middle fingers fly and category B swear words are shouted. Caution must be taken I feel. My biggest gripe is that I welcome a cameo or two from the original movie or maybe an in joke here and there but I stopped counting at 12 ‘point at the screen’ moments or line quotes. That self referencing made it feel unsure of itself due to the fan baiting and reminiscing. The film is peppered with call backs even after the end credits roll and the final sequel set up is done. It’s also evidence that McCarthy works better as a team player. I would also mention that a couple of ghost scares may give ten year olds or younger nightmares. But I still enjoyed the ride as someone who loved the first movie- not the second. This reminded me of The Frighteners also, which is still good fun. So a better than expected but aimed at a young adult market, rehash of a nostalgic piece of my childhood. I’ll happily watch a sequel, but without my son.